The Nigerian Navy has said that it recorded about thirty-four (34) pirate ship attacks in 2018, stating that evasive maneuver from the legal regime have been the bane in the fight against oil theft prosecution. Director of Training and Operation, Rear Admiral Mackson Makonju Kadiri stated while delivering 2018 scorecard of the Nigerian Navy at first quarter media dialogue held at the Naval Headquarters in Abuja. Kadiri said from January to December 2018, a total of 34 pirates’ attacks on shipping were reported with 9 successful and 25 unsuccessful while a total of 20 sea robbery attacks were reported in 2018 with 6 successful and 14 unsuccessful. He added that, despite the observed trend of threat migration, especially with regards to incessant illegal refining of crude oil, piracy, sea robbery, crude oil theft, illegal oil bunkering, IUUF, insurgency among others, significant gains were achieved in 2018 leading to increased output in maritime trade and particularly oil production. He said, “So far, 9 houseboats otherwise known as Naval Security Stations (NSS) have been deployed where crude oil theft and illegal refining activities are known to be prevalent. Earlier, in his welcome address, Chief of Policy Plans, Rear Admiral Begroy Ibe – Enwo who represented the Chief of the Naval Staff, Vice Admiral IE Ibas said the dialogue was organized essentially to highlight the efforts of Nigerian Navy in the administration of effective maritime security. 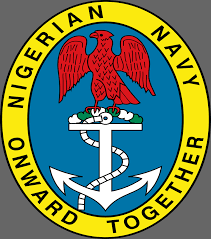 Ibe – Enwo, solicited closer cooperation between the Navy and the media to ensure friendly posture most especially in reporting sensitive military operations and activities in support of our national security.